Young men work on a building site in Dhaka. BBC World Service/Flickr. Creative Commons. Media reports and policy documents on human trafficking often focus on the exploitation and harm experienced by child and young migrants. In the absence of reports on mobility practices more broadly, the focus on trafficking risks generalising young people’s migration to the point of misrepresentation. More specifically, it suggests that all young people’s movements entail harm and exploitation. In order to avoid this, we must situate young people’s movements within a wider understanding of mobility and the processes affecting it. This will help us to better comprehend the factors motivating mobility and to develop a more contextualised, dynamic understanding of the risks and opportunities presented by migration. What, then, leads young persons to migrate? What experiences do they have? Across Asia, where I have done most of my research, the mobility of children and young people for work or schooling is a long established rite of passage. The migration patterns of these children, however, have been changing as agricultural livelihoods have become less sustainable and as educational systems have modernised. These shifts have prevented many young persons from pursuing viable livelihoods locally, and in any case fewer and fewer are interested in farming, the traditional livelihoods of their parents. Examples of this abound across the region. Nitya Rao and Munshi Israil Hossain, for example, found that agriculture in Bangladesh is increasingly seen as difficult work with limited returns. At the same time Dhaka, Bangladesh’s capital city, has become less feared as a destination for work, resulting in higher numbers of persons considering out-migration. Likewise in Indonesia, the lack of decent work has ‘pushed’ young people out of their villages and toward the ‘light’ and ‘heavy’ work in factories, transportation and construction that is readily available in cities. In Nepal, the migration of young men to India has been long-established as a rite of passage. This flow has increased in recent years due to limited opportunities for schooling and the lack of employment available locally. In rural Laos, Roy Huijsmans has observed that young people are more interested in migrating out for non-agricultural work than in pursuing the farming related livelihoods of their parents. In addition to these ‘push’ factors, transformation in urban settings and across borders has increased demand for young workers with some level of education. The modernising process of formal education thus also impacts on young people’s migration, creating aspirations for livelihoods different from those of their parents. Even though the expected gains from formal education have not yet materialised for many ‘poor’ and disadvantaged groups, namely access to decent employment, growing numbers of children and young persons are migrating to attend school. Work status and personal reputation are extremely important factors in decision making processes, even for children and young persons from ‘poor’ or otherwise disadvantaged backgrounds. For those educated children and young people who remain un- or under-employed, migration may offer face-saving opportunities for their development. For example, young educated Nepali men often migrate to Delhi to pursue better educational opportunities—both formal and informal—in the hopes of attaining the upward social mobility denied to them in their home country. Even if the young men take what they describe as a ‘low’ status job in Delhi, they see it as providing the base to earn and save money, and to improve their skills so that they can secure even better work further afield. 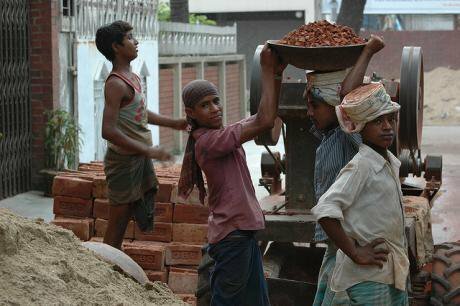 I found from my field sites in Bangladesh that educated boys who do not have the resources to secure decent work at home are embarrassed to do the locally available, ‘low’ status work. They prefer to migrate, even for similar ‘low’ status work, to locations where no one from their home village can see them. When they return home, they describe this work to their peers using terms associated with higher status work. Similarly, Nitya Rao found that migration offered the possibility for young women in rural India to leave a stifling home environment. Their new lives in a cosmopolitan setting have brought them higher status than if they remained in their home villages, even though they were doing manual domestic work. Furthermore, living away from home and earning an income created choices and opportunities for some women and girls that would have been inconceivable without migration. These benefits can be both short and long term, for example delayed marriage or having more influence over one’s parents regarding the choice of husband. The examples presented above show the need for a more contextualised and dynamic understanding of the motivations, opportunities, and risks associated with children and young people’s migration. Migration cannot be understood outside wider processes of social and economic change, including the diversification of livelihoods and aspirations created by formal education. For many children and young people, migration is not a wholly negative experience. On the contrary, it provides avenues for aspirations that cannot be met locally and opportunities to achieve status and reputation, extremely important yet under-recognised aspects of young persons’ lives.